Current downloadable vouchers or offers available…. 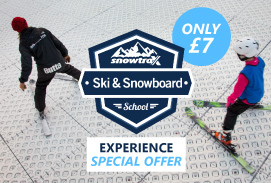 Get a taste of what it’s like to ski or snowboard for real! A super fun session for absolute beginners who are thinking about taking up a new winter hobby! Click here – for more details. Meal Deal – Play and Eat! 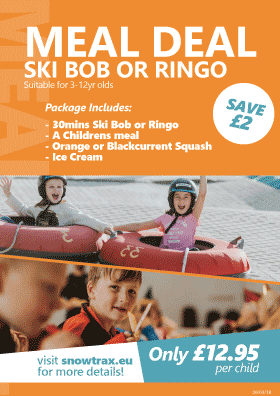 Play on our Skibob or Ringos and eat for just £12.95! Suitable for ages 3-12. Terms and Conditions apply – speak to a member of our reception team for more details!